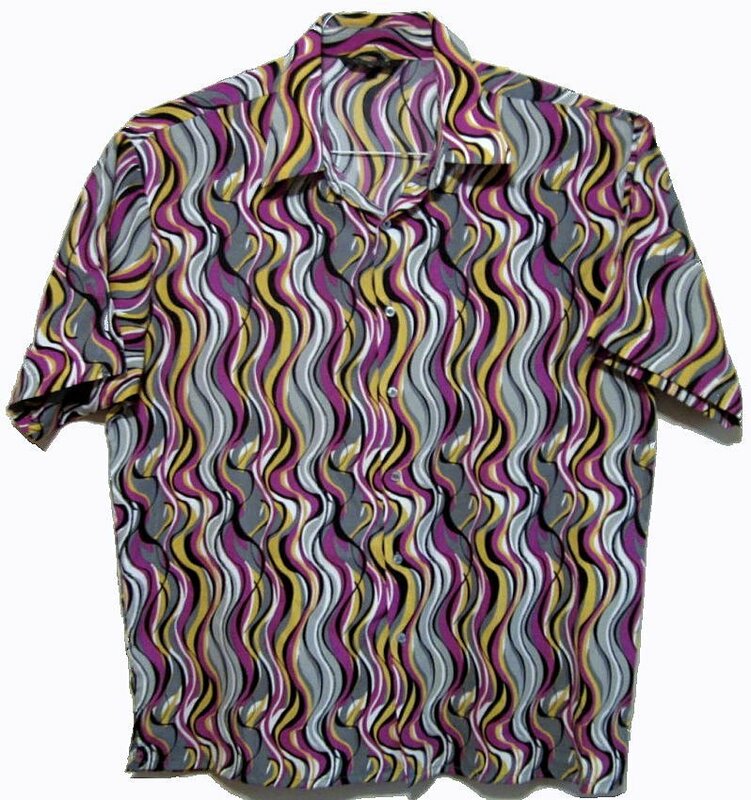 This wonderfully loud reproduction shirt possesses a great color and pattern combination. The colors ae Light Gray, Medium Gray, Fuchsia-ish Purple, Chartruese, White and Black. The fabric is polyester that feels like flat rayon or a poly cotton blend. Tags aren't always correct these days. The fabric probably is a poly rayon blend. The shirt is approximately 52" around at armpit level for a 50 Chest Fit. The shoulders are 23.5". The length is 33". The Waist is 54". Hand Wash or Dry Clean. Hang dry. It would go great with black pants. Men's reproduction tinted 70s style aviator sunglasses available for $6.50 below.